Knowing some basic tornado facts can help keep you safe during the months of spring and early summer, when tornadoes are most common in many areas of the United States. That’s when tornado season is at its peak, though twisters can occur any time during the year. Tornadoes are complex weather phenomena, as are the storms that produce them. There’s much about tornadoes that meteorologists are still trying to understand about them so they can better forecast when and where they’ll strike. But there’s also a lot that weather scientists do know about tornadoes. #2 – Tornadoes have touched down in every state at least once since 1950. 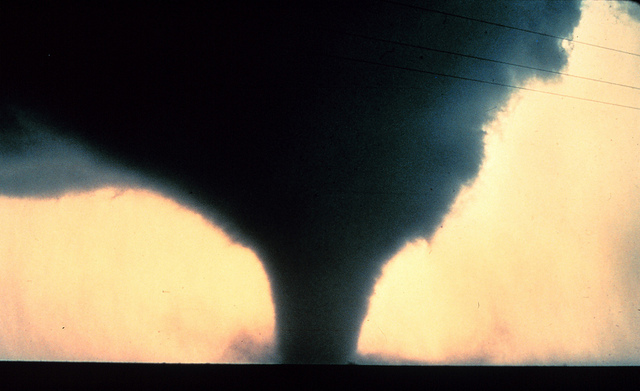 #3 – About 1,200 tornadoes occur each year in the United States. #4 – The state of Texas sees an average of 126 tornadoes each year. #5 – Which state has the most tornadoes per unit area? That’s Florida — though most tornadoes in Florida rank only as EF0 or EF1. 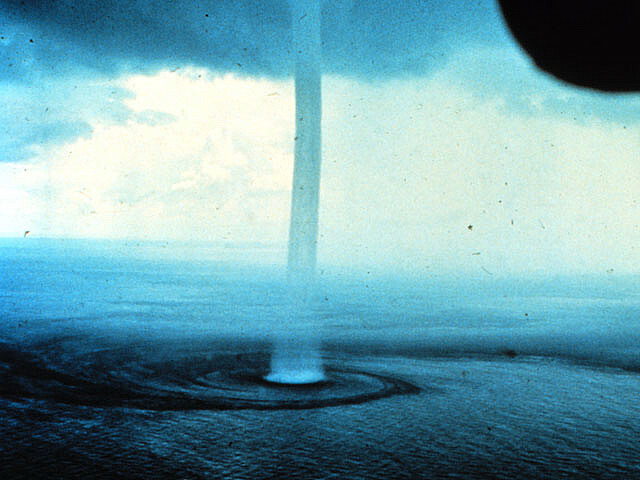 #6 – Tornadoes that form over a body of water are called waterspouts. #7 – Remember what happened to Dorothy’s house in The Wizard of Oz? As it turns out, tornadoes really can lift whole houses into the air. In fact, tornadoes can actually move entire houses a city block or more away! #8 – Tornado Alley refers to the U.S. states where tornadic activity is common in the spring and early summer. These states include Kansas, Texas, Oklahoma, Nebraska, and South Dakota. #9 – Residents in the Midwest and Plains states commonly build tornado shelters — emergency underground shelters — to help protect themselves and their families from tornadoes. #10 – Sometimes, it will rain frogs… When a tornado (or waterspout) sweeps over a pond or lake, it can actually throw frogs and other small creatures into the air and “rain” them down over land miles away. #11 – Tornado winds are the fastest on Earth. 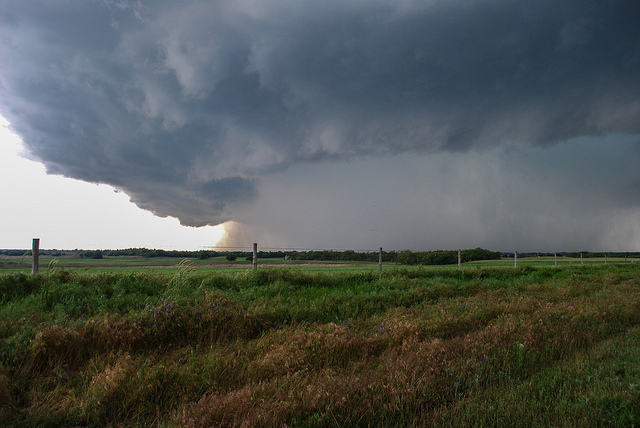 #12 – Supercells are the type of thunderstorm that are usually liable for spawning tornadoes. #13 – It’s estimated that 3 out of 4 tornadoes that occur around the world happen in the United States. This is due mainly to the unique geography and combination of geological land formations of our country, which promote the type of weather activity that’s most often the cause of tornadoes. #14 – A tornado’s color typically matches the color of the ground. While many tornadoes appear black (the color of topsoil in many regions of the United States), red tornadoes can be caused by clay soil and yellow tornadoes may occur over corn and wheat fields. Other factors, such as the sunlight angle and amount of humidity in the air around the storm can affect the color of a tornado. #15 – Objects sucked up by tornadoes can often be found many miles away from where the twister touched down. For example, after a tornado destroyed a motel in Oklahoma, the motel’s sign was found in Arkansas. #16 – Here’s why it’s important to seek shelter in a secure, anchored structure during a tornado: in 1931, a tornado picked up an 83-ton train and threw it 80 feet away from its track. That’s one reason why trailers and vehicles are very unsafe places to take shelter during a tornado. #17 – Tornadoes often hop along their paths. That’s why some tornadoes leave an uneven or broken path of destruction. Sometimes, a house in the path of the tornado may be left perfectly intact while a neighboring home might be completely destroyed. #18 – Many people associate the sound of a freight train with the noise that tornadoes frequently make. However, tornado noise can vary based on the location of the storm itself and the objects that are in the path of the twister. Tornadoes in open fields are often relatively quiet, while storms closer to neighborhoods or cities make more noise as they (unfortunately) hit or move buildings and other large objects. #19 – The safest place to be during a tornado is inside a basement or underground storm shelter. #20 – Hiding from tornadoes under an overpass or near bridge girders is actually very dangerous. Tornadoes passing over or near a bridge can create a devastating wind tunnel effect under the span, causing great harm to individuals taking cover underneath.